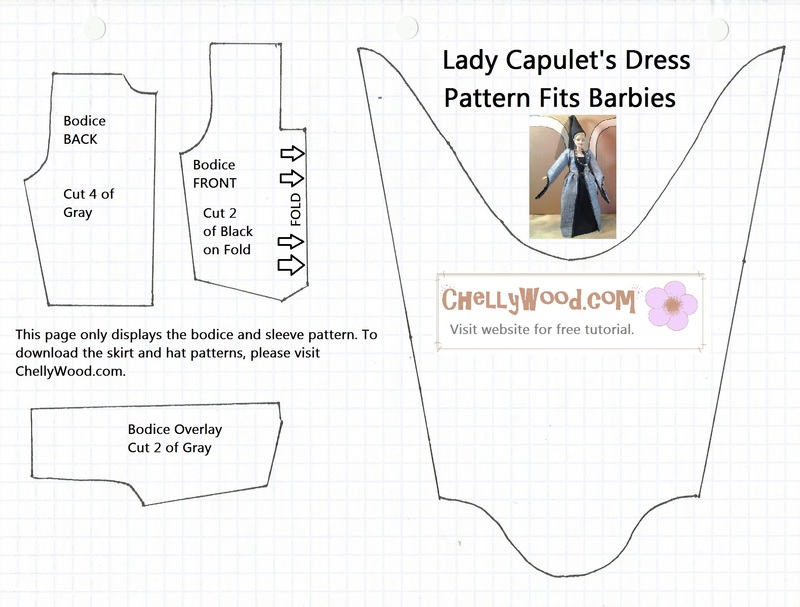 ChellyWood.com offers free printable sewing patterns for Barbie, Momoko, and other dolls. Lady Capulet is Juliet’s mother in William Shakespeare’s famous tragedy, Romeo and Juliet. As most of you know, I’m making a stop-motion video of Romeo and Juliet, using Barbies and other dolls as the movie stars. Doesn’t Barbie make a lovely Lady Capulet? To see an image of her after her make-under, wearing the wig from the play production, visit my Pinterest page. With white streaks in her hair, Barbie looks a bit older, so she makes a believable mother to Momoko’s Juliet. Would you like to sew your own Renaissance dress for Barbie? Here’s a link to the free pattern for her dress’ bodice, and here’s a link to the free pattern for her dress’ skirt. 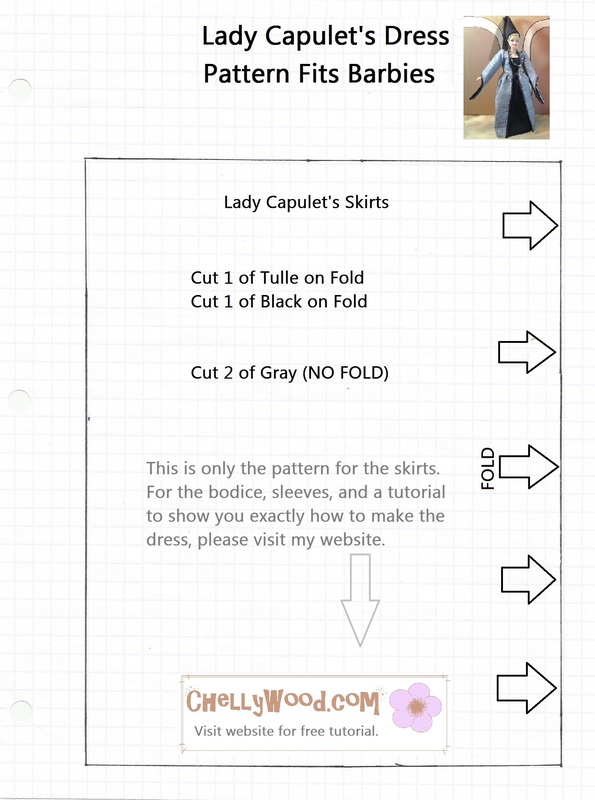 You’ll need both of these patterns to make the dress shown in the image above. This tutorial will show you exactly how to make it. Barbie’s cone-shaped hat is very easy to make, and here’s a link to the pattern for that. 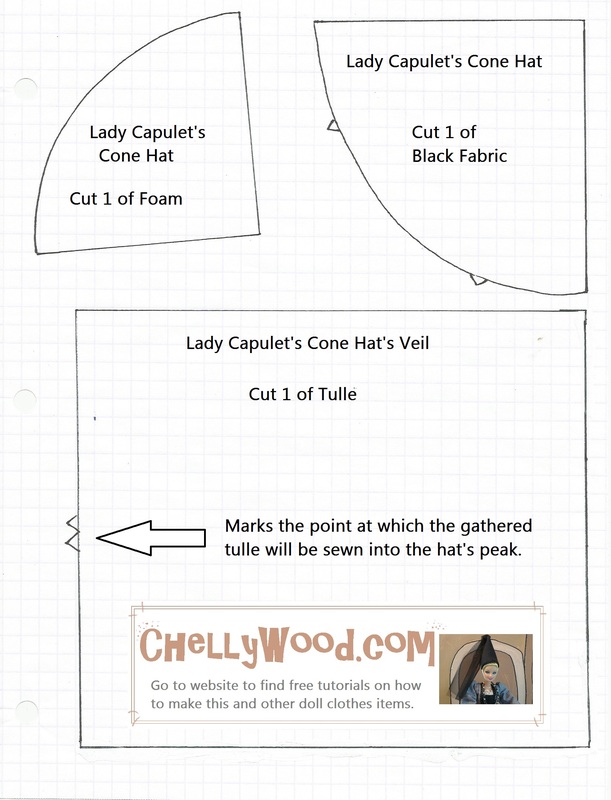 This “princess hat” tutorial will show you how to make Barbie’s cone-shaped hat, using that pattern. To see a preview of the upcoming stop-motion video, check out this link. Just a couple more things to note: when you print my patterns, it’s always friendly and kind to like it on FB, tweet about it, and/or pin it to your Pinterest page. That way you’re helping to spread the word that these free, printable sewing patterns exist. Also, you must enlarge the pattern to fit a full-sized piece of American computer paper (8.5 x 11 inches or 216 x 279 mm) before printing. My designs use a 1/4 inch seam (standard for fashion doll sewing projects). If you have any questions about piecing this costume together, feel free to contact me, using my “Submit a Question” form. I’m always happy to help! 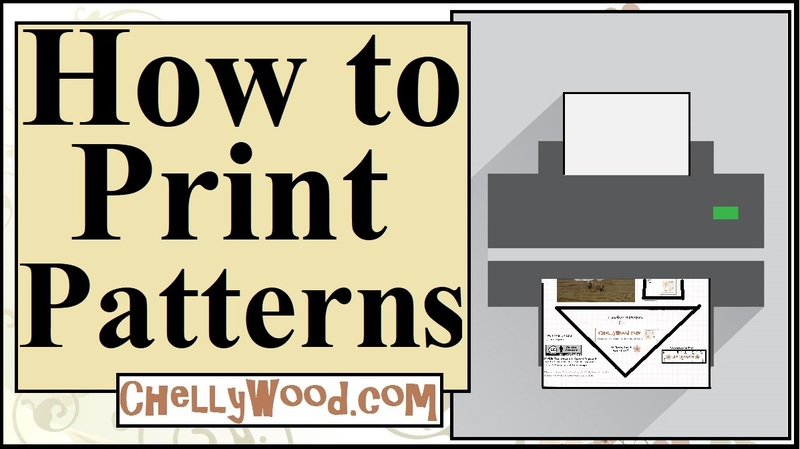 If you’ve never printed my patterns before, you might want to check out this video, which shows you how it’s done. For my regular followers, it may seem like I’ve gone into re-runs. Sorry about that! My computer crashed, so I’m doing my best with the resources I have until I buy a new one. Meanwhile, I’m designing doll clothes for tall Barbie, Jake (from the Liv collection), and other requested dolls behind the scenes. When I have a working computer again, I’ll have lots of great patterns and tutorials to post anew! So stay with me! It should be well worth the wait.